Taking the city bus instead of driving may be the more eco-friendly option, but it’s not really the coolest way to travel. How many more of us would be willing to ride the bus if the bus looked this good? 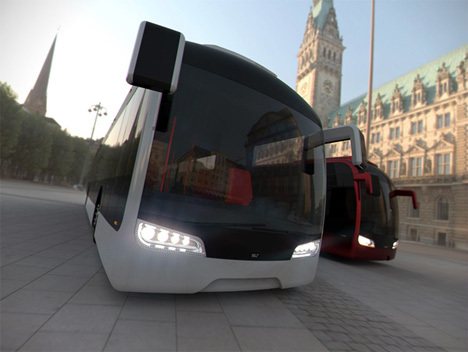 This ultra-cool behemoth is the Cityline bus: the invention of Rafal Pilat and Michal Bonikowski. 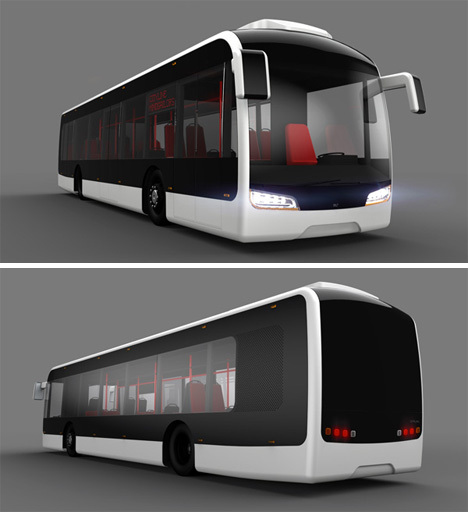 The Cityline takes the old shape and familiar aesthetics of the city bus and gives them a futuristic tweak. The whole body has been lowered and all of the glass components blend seamlessly into one another. 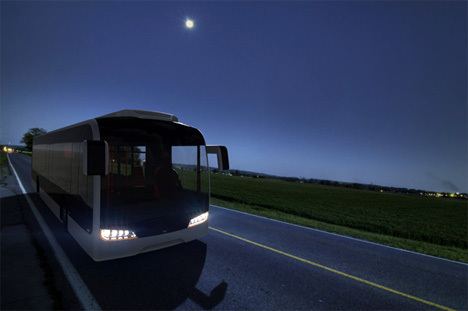 On the front of the bus sit ultra-bright LED headlights to illuminate the city streets. Perhaps most importantly to today’s cash-strapped cities, the bus also features plenty of flat spaces perfect for advertising. See more in Mass Transit or under Transportation. November, 2011.